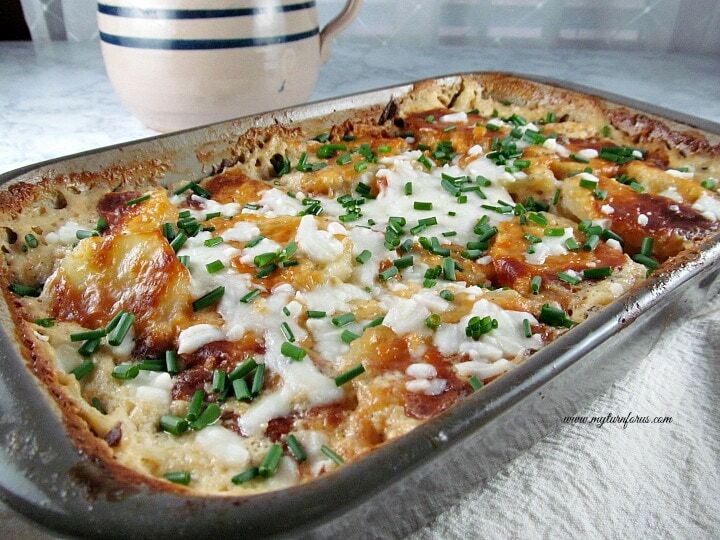 Potatoes Au Gratin consists of thinly sliced potatoes in a rich cheesy sauce. Seasoned and topped with cheese and chopped chives. I have never really thought about the difference between Potatoes Au Gratin and Scalloped Potatoes, but I’m told there is a difference. 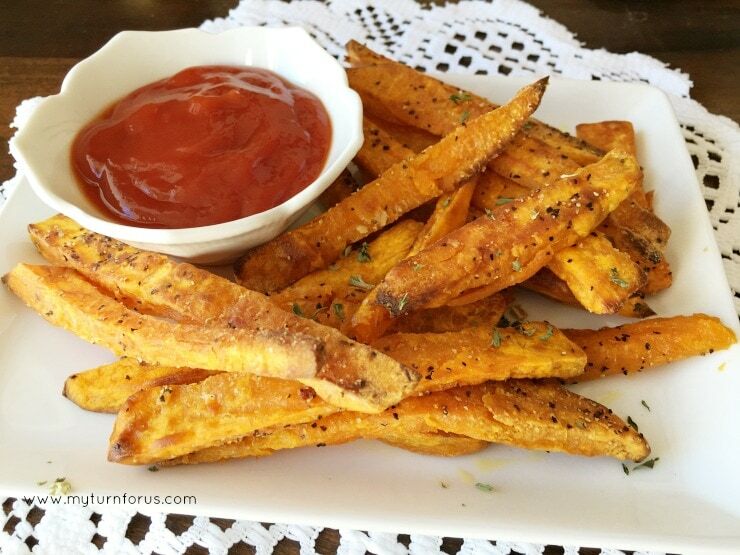 We were never really sure which name these potatoes fell under, we just knew they were very easy and so delicious. If you are like us, you like easy one-pot meals or in this case a one-pot potato dish. This is not one of those recipes where one would cook the sauce in a pot and then pour it in another and bake. This is a pour everything into the pan and bake recipe and exactly what all of us busy people need. 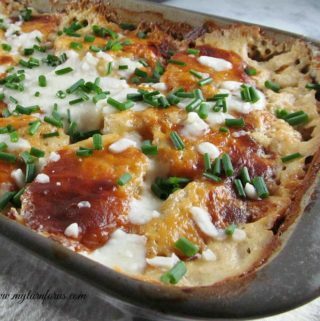 This is the potato dish we have always made, we call it Scalloped potatoes but other people might be right to call it Potatoes Au Gratin because we have learned exactly what the difference is. Butter a 7 X11 inch baking dish and layer 1/2 of the potato slices in the buttered dish, overlapping like fallen dominos. 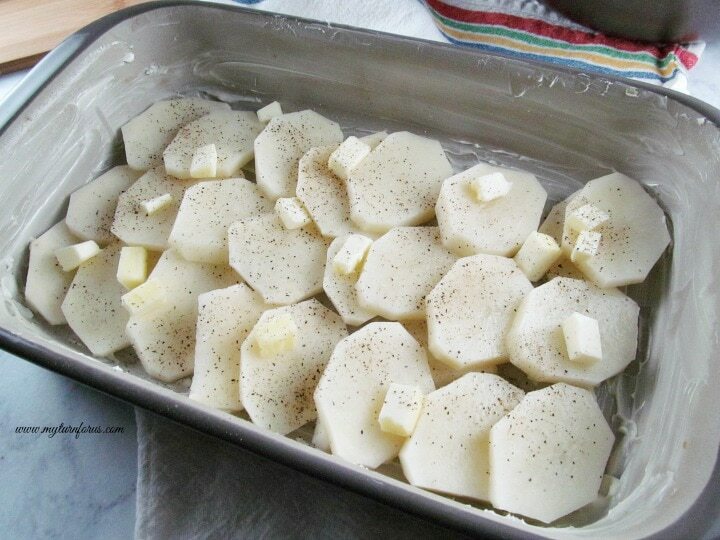 Add extra flavor by dotting the potato slices with butter on each layer. New studies show real butter is not bad for you and it makes your soul happy or it does mine. Or as Pioneer woman says, “It makes my skirt fly up”, I just love it when she says that. Sprinkle 1 cup of the Monterey Jack cheese on top of the potato slices and then repeat with another layer of potatoes, butter, and cheese. 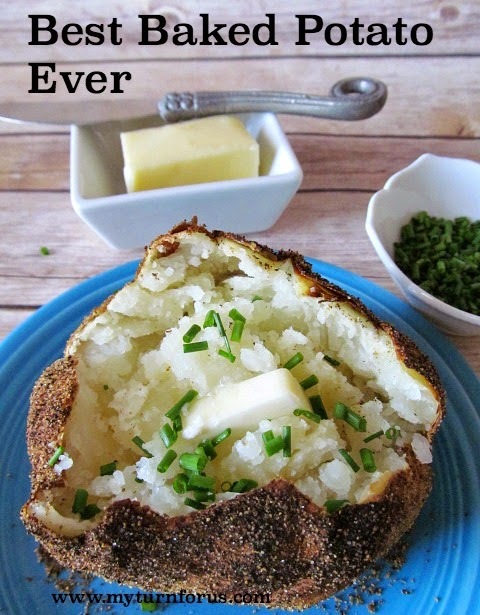 Mix milk with salt and pepper, pour over the potatoes and then bake for about 1 hour. 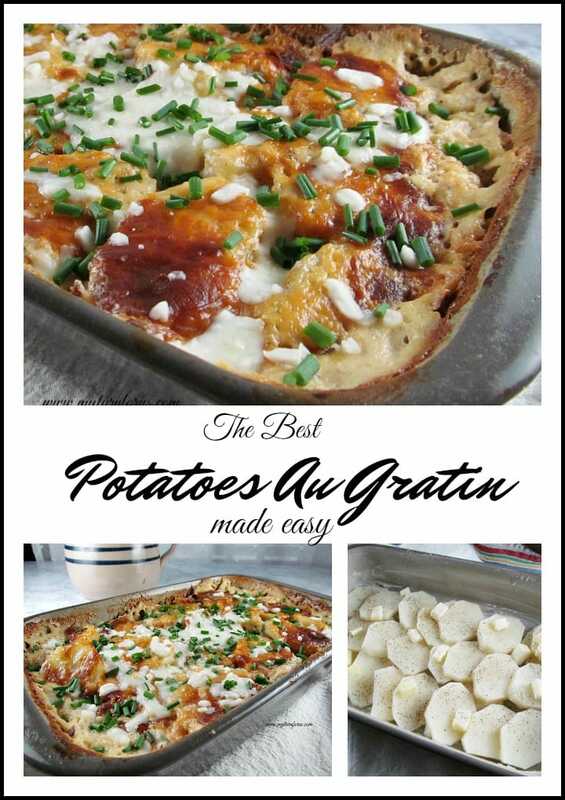 We have learned the real difference between Potatoes Au Gratin and Scalloped potatoes is that Potatoes Au Gratin has a topping of sometimes breadcrumbs or cheese and then it’s browned but Scalloped potatoes do not have a topping, even though the top is browned. We do not top our potato dish with breadcrumbs but like most cheese lovers, we do add extra cheese on top and then place the dish back into the oven to brown. 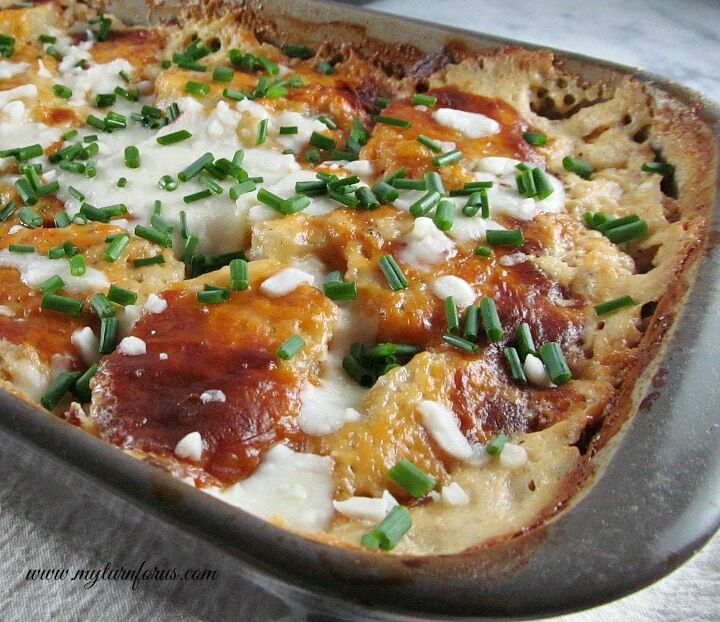 So the potatoes we once called Scalloped Potatoes are really Potatoes Au Gratin by definition. But call them what you want, they are gooooood! 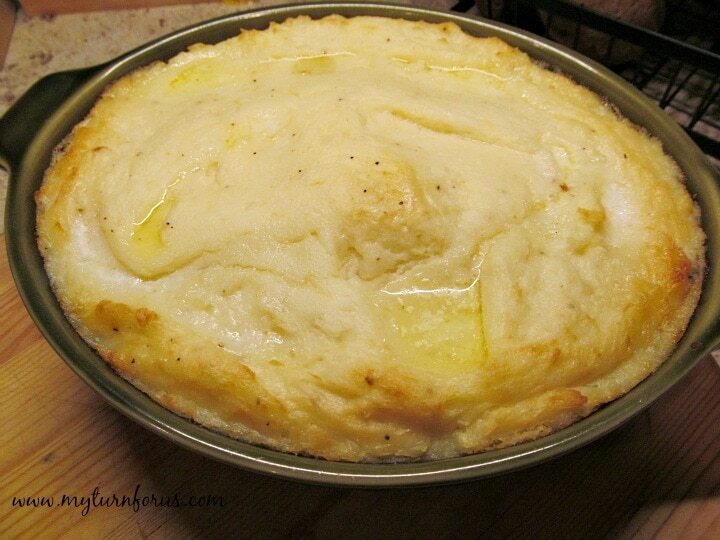 Sprinkle 1/2 cup of the cheese over the potatoes and pour 1/2 of the cream mixture over top. 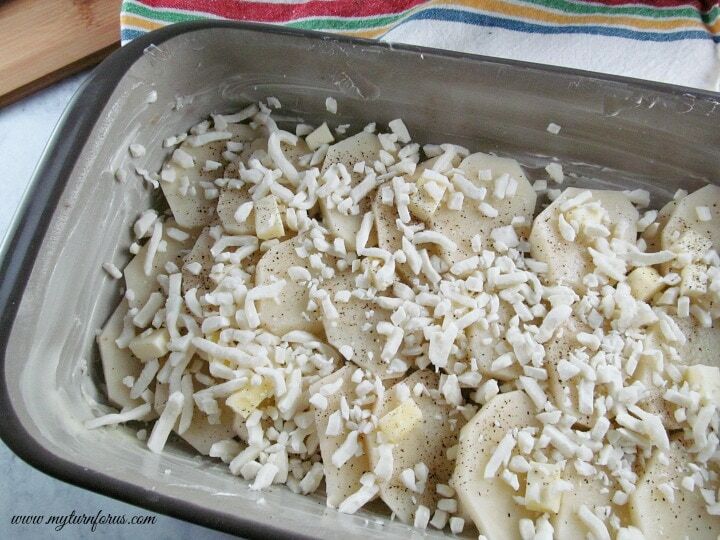 Remove foil, bake for 15-25 minutes longer until potatoes are done and the top is beginning to brown. 10. Let cool for about 10 minutes, sprinkle with fresh chives prior to serving. Yum yum, I love potatoes any way they are fixed. Spending a lot of time on the farm in Virginia, there were always potatoes, never rice. Many thanks for this terrific recipe.